The scene is Vienna in the year 1905 when the Austro-Hungarian Empire still had a few years to live out its fantasy of a world remembered as confection and waltz. We are at the theater when the stage setting metamorphoses into reality, propelling us into the story of A Little Night Music. The plot turns about the middle-aged Frederick Egerman (Len Cariou) and his teenage bride, Anne (Lesley-Anne Down), still a virgin after eleven months. Frederick is unable to see that Erich (Christopher Guard), his nineteen-year-old son by a previous marriage and a frustrated divinity student, is falling in love with her. When Frederick learns that the beautiful actress Desirée Armfeldt is appearing at a local theater, he and Anne attend her performance. Frederick and Desirée once had a memorable affair and now, fourteen years later, she spots him from the stage and plays directly to him. Anne senses something going on and leaves in a fit of jealousy. Memories of the past are too much for Frederick to resist, and he goes to Desirée’s hotel where they both discover that the intervening years have made no difference in the intensity of their feelings for each other. But they are interrupted by Desirée’s lover, Count Carl-Magnus Mittelheim (Laurence Guittard), the husband of Charlotte (Diana Rigg), who is also an old friend of Anne’s. Desirée goes to the country estate of her wealthy mother Mme Armfeldt (Hermione Gingold), the mistress of kings and counts in her youth, and persuades her to invite the Egerman family for a weekend. But Count Mittelheim hears of the Egermans’ invitation and decides that he and Charlotte will join the group for the weekend. The count feels he must stop the reawakening romance between his mistress, Desirée, and Frederick; and Charlotte thinks she can turn the weekend to her advantage by making her husband jealous, solidifying their marriage. There, at Mme Armfeldt’s estate, Erich tells Desirée ‘s young daughter Fredericka (Chloe Franks) of his love for Anne, but the child blurts this information to Anne. When Anne rushes out to find that the mortified Erich is trying to commit suicide, she realizes that it is he, not his father whom she loves, and they make plans to run away. Moments later, the count is enraged when he sees his wife Charlotte and Frederick apparently embracing in the garden outside and in his fury challenges Frederick to a game of Russian roulette. Desirée and Charlotte hear the shot, and the count appears, carrying Frederick. He is not hurt but only grazed by the bullet, and now as Desirée cares for him, they know that they are truly meant for each other as Charlotte and the count become reconciled to their own lives together. A Little Night Music is about love – love for, about, and by the young, the middle-aged, and the old. They speak of loves ago, loves they have, and loves to be, in their world of Vienna at the turn of the century. The genesis of this film is the 1956 Ingmar Bergman motion picture Smiles of a Summer Night; this evolved into the musical for the Broadway stage, now transformed into its film version, both by director Harold Prince and composer-lyricist Stephen Sondheim. Using the waltz and its variations as a vehicle for telling a musical story has long held intrigue for composers, and here the Sondheim score makes mood as important and pervasive as plot. 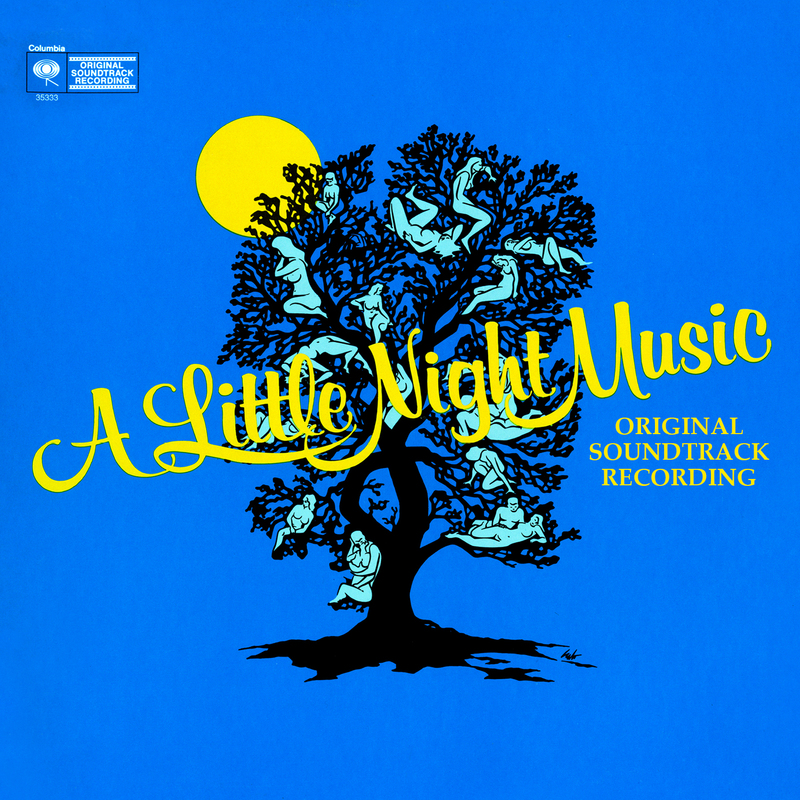 Included in the booklet to this 2013 release is a new liner note by Peter E. Jones, who currently handles the audio, video, photo, and manuscript archives of Stephen Sondheim. With Didier C. Deutsch, he is co-producer of this album. His note offers some fascinating historical insights into the making of the film and its music.